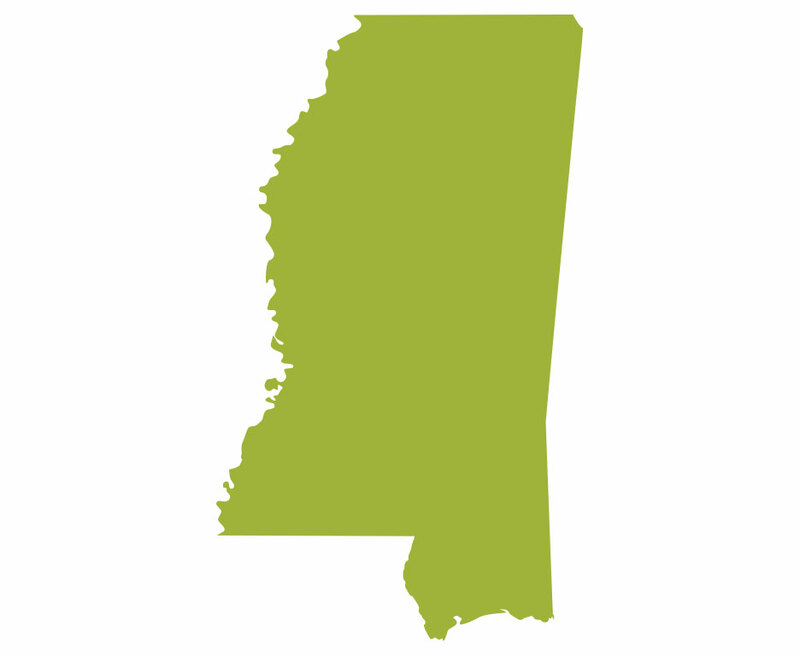 This picture is from a double blind study done in 2007 in Mississippi. 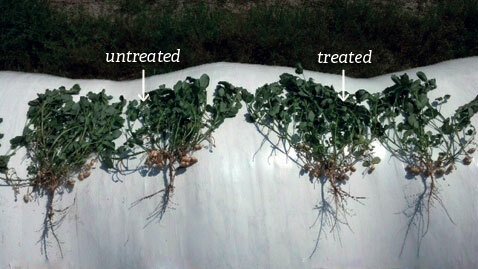 The rows on the left were treated with SumaGrow&REG; while the rows on the right were untreated. 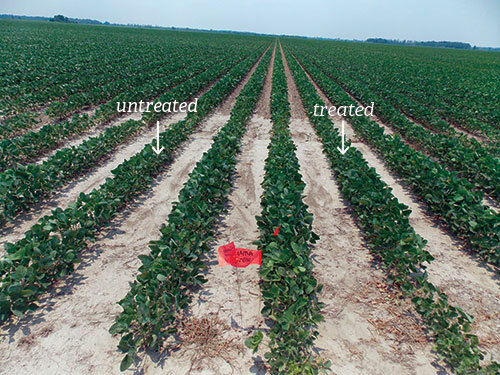 As you can see, the SumaGrow&REG; treated rows grew larger, fuller, and healthier. There was a 15 percent yield increase over the untreated rows. 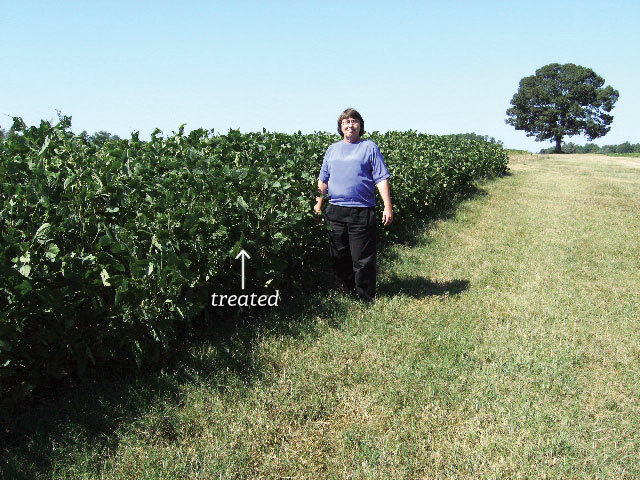 In an independent farmer trial, soybeans treated with a SumaGrow&REG; containing product out-yielded the control by over 9 bushels per acre. Additionally, the producer increased his profit by over 70 dollars per acre even with the additional cost of the product. 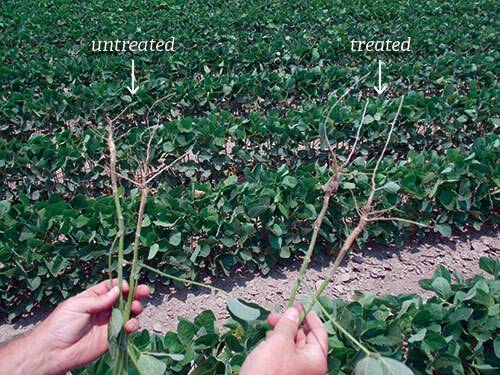 GIOP Enterprises in Nebraska ran field trials testing two treatments: SumaGrow&REG; and a Control. On average, the SumaGrow&REG; treated rows showed significant increases over the control in yield, brix levels, root nodule formation, tap root length, and plant height. 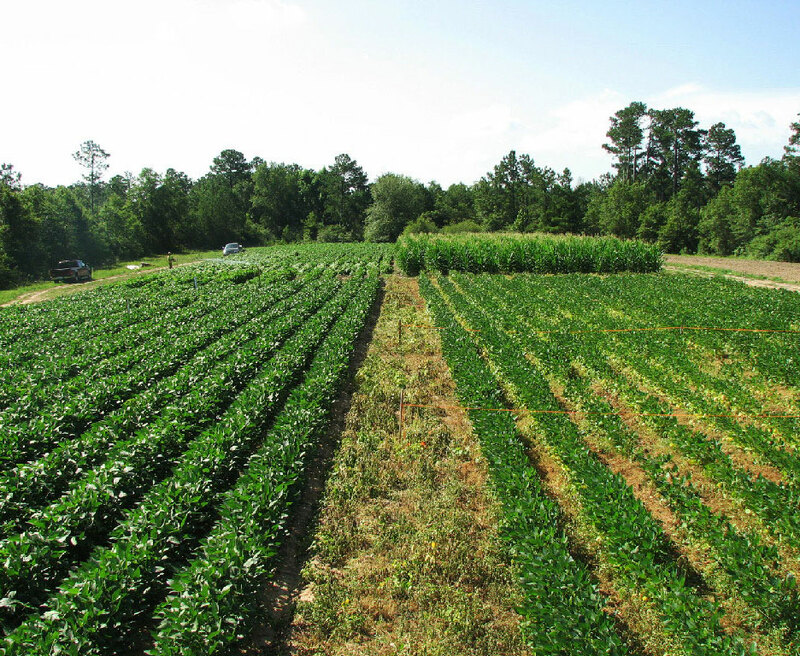 Wade Davis, a distributor for products containing SumaGrow&REG; shared these pictures of Woodlief Farms’ soybean crops. Pictured is Wade’s wife, Jean. The excellent growth for the plants treated with a product containing SumaGrow&REG; was achieved despite a two month drought. These attachments and the ones in the subsequent email are from Barksdale Farms. Obviously, these beans have only had one application, but one can certainly see the difference in the root system. Sparky did ride out to Thornton’s farm and looked at his beans. 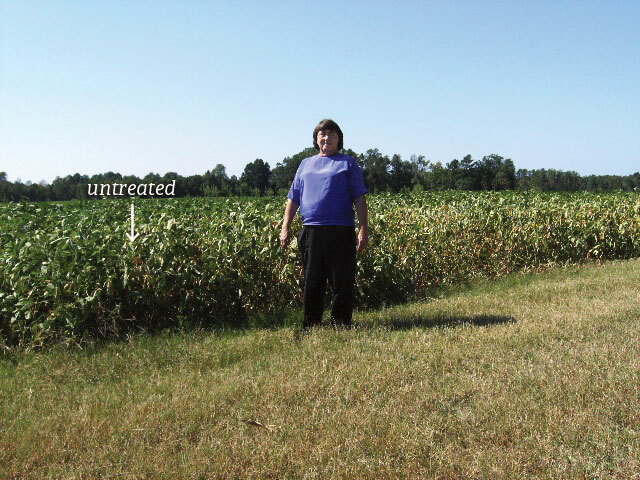 He said in one field there was a significant difference visually between SumaGrow&REG; and non-SumaGrow&REG; beans. Again I received news last night of some great results in North Florida involving a peanut trial we are doing. The farmer has a 15 acre peanut trial as well as a 20 acre cotton trial. 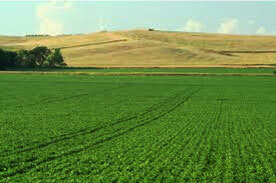 On his peanuts: He reduced fertilizer 25 percent and has not reduced his fungicide, pesticide or herbicide regiment. There was a 2–3 inch height difference between the Genesis and the control. It was also mentioned there was a visual difference in foliage and denseness of Genesis applied peanuts (treated on right, untreated on left) These results were outstanding and we are certain we will show this farmer a substantial increase in yield. 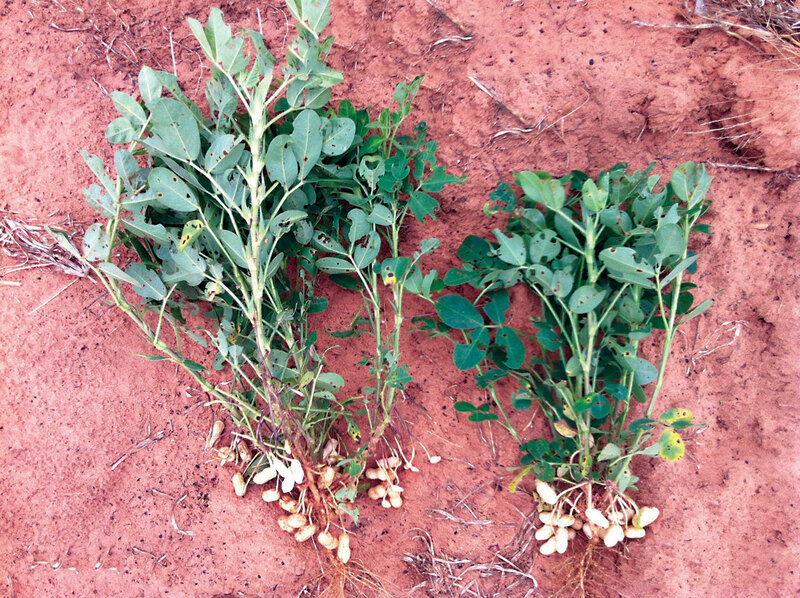 The first picture shows a SumaGrow&REG; peanut plant 3 weeks after the first application and about 20 days from harvest. A “normal” plant is on the right. The farmer applied SumaGrow&REG; very late in the growth cycle and yet the difference is quite pronounced.